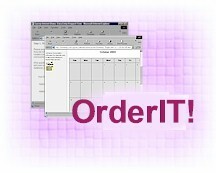 OrderIT! is a cloud application for your online store. We provide your online store on our secure online cloud server. Control over your own business - no added transaction fees! © 1995-2018 Aufrance Associates 963 Topsy Lane Suite #306, Box 361, Carson City, NV and Marquette, MI USA All rights reserved. Real Estate Internet, Real Estate Internet PLUS, NotifyME, Calendar Internet, Survey Internet, JobSite and OrderIT! are all trademarks and copyrighted software products registered with the US Copyright Office as original work or derivatives thereof by Aufrance Associates. Used with permission where licensed.